An interpolation of a finite set of points on an epitrochoid. 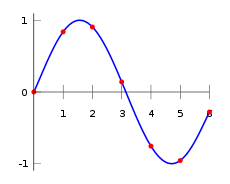 Points through which curve is splined are red; the blue curve connecting them is interpolation. 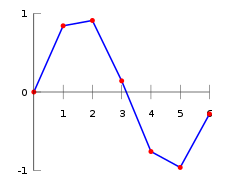 Plot of the data points as given in the table. 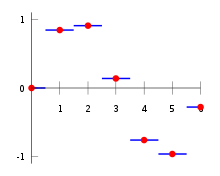 Piecewise constant interpolation, or nearest-neighbor interpolation. 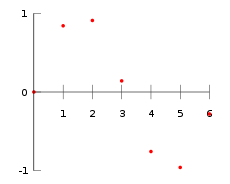 اس موضوع پر مزید معلومات کے لیے , دیکھیں Nearest-neighbor interpolation.